Dorothy Irene Harvender-Fuller, 91, passed away Sunday, September 16, 2018 at the Bradford Ecumenical Home. Born on February 22, 1927 in Medford, Massachusetts, she was the daughter of Henry Nelson and Agnes Murray Harvender. The family relocated to Bradford in 1932 where Dorothy was educated, graduating Bradford Area High School in 1945. In 1947 she graduated with an Associates Business Degree from Lasell College. Employed by Pennzoil Company of Bradford, she met and eventually married the love of her life, Pennzoil Executive, Robert Stuart Fuller, Sr. on April 16, 1949. Together they raised four children: two sons, Rob S. Fuller, Jr., Dale Thomas Fuller and two daughters, Janell (Dominic) Custodio, Nancy (Craig) Hartburg. Dorothy was also employed by Foster Township Municipal Office, Producers Bank and prior to her retirement at Preston Abbey Architects. 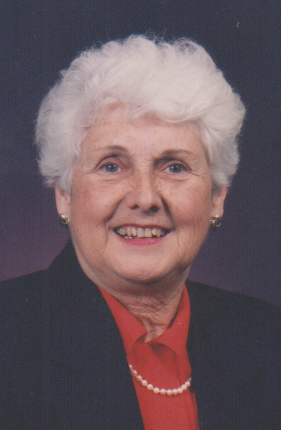 She was a member of First United Methodist Church serving as Sunday School teacher, Order of the Eastern Star Bradford Chapter 61 serving as Worthy Matron in 1963, and leader of both Girl and Boy Scouts. Surviving in addition to her children are four grandchildren, Colby Hartburg, Matthew Hartburg, Gavin Custodio and Daniel Custodio, five great grandchildren, nieces, nephews, cousins, and second husband Bob Kleiderlein. She was preceded in death by her parents; husband, Robert S. Fuller, Sr. who died in 1979; two sons, infant Dale T. Fuller who died in 1953 and Rob S. Fuller, Jr. who died in 2001, one brother Nelson H. Harvender who died in 1996. A private memorial service will be held at the convenience of the family. Burial will be in McKean Memorial Park. Funeral arrangements are under the care of the Hollenbeck-Cahill Funeral Homes, Inc.
To the Fuller-Kleiderlein family, my deepest sympathies on the loss of this lovely woman. Dorothy worked with my grandmother, Olevia Campbell, at the township offices for many years. She always had a smile and sweet words for Olevia’s grandkids. My grandma so enjoyed working with her. The township office employees were like another family to us. Prayers for your loss. Janell and family, I''m so sorry to hear of your mom''s passing. Prayers heading out for the family.